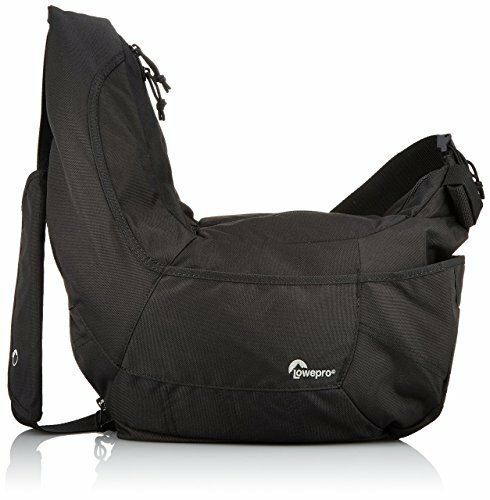 Looking for the perfect camera sling bag to carry your camera gear around the world? We break down our favorite sling bags in this post for your next trip! It’s always a dilemma about what camera equipment you want to bring vs what you can carry safely. Well, with the right camera sling bag, you’ll never have to make that sacrifice again! You may be thinking that there are so many models, variations, and brands out there, just how am I supposed to find the right one for my needs? Easy! We’ve taken a very close look at the bag market and pulled the most important buying criteria for you to consider, and then combed the market looking for the perfect bags that fit that criteria and compiled them into one easy list right here for you to peruse and find your perfect match. Let’s get started and get your camera-toting future rolling! Cameras come in all shapes and sizes, along with a plethora of different lenses. That’s to say nothing of tripods and other support equipment you may be using! So naturally, camera sling bags also come in different sizes and are suited to different types of gear. It’s therefore very important to take the time to research specific bags and see what type of equipment they’re best suited for. Some bags will be marketed for the specific camera makes and models, while others will simply have their posted space constraints. Regardless, look closely to ensure that you can fit all the gear you want into the bag and not be disappointed by having to leave equipment behind! If you plan on taking a tablet for working with your camera, it’s best to ensure that the bag includes a dedicated sleeve to keep the tablet safe and avoid jostling/rubbing all your gear together. This may be one of the most crucial elements in regards to a great camera sling bag. I love camera bags that have padded interiors in order to protect my lenses. Most of the bags on this list have padded interiors so the main element you should consider is your kit size. Almost every bag on this list can hold a DSLR or mirrorless camera, but if you have multiples lenses or even a big long lens you’ll need a large divided interior. The organization system inside the backpack is key to protecting your camera gear. I love the divided compartments that allow for lenses to travel securely without risk of bumps or falls. As we all know, cameras are amazing at capturing phenomenal moments, but many are also amazingly delicate pieces of equipment. So, if you plan on taking your sling bag on hikes or other adventures in the great outdoors, it’s certainly a good idea to ensure that the bag can keep your gear safe from water and dust. Keep an eye out for bags that have been treated for water repellency at a bare minimum. For even more protection, consider bags that come with a waterproof cover that you can deploy in adverse weather. Yes, it’s another item you’ll have to carry (if it’s not built into the bag), but for complete security from the elements, it’s definitely worth it! If you’re looking to take your camera sling bag on extended travels – and we sure hope you are – you have a couple options to consider. We recommend looking for sling bags that include an expandable compartment for increasing your gear storage volume for those longer excursions. Furthermore, many sling bags allow you to remove the camera storage dividers from the bag and turn it into an all-purpose day-pack, for those days on the road when you feel like leaving your camera back in your room. The first entry in our top 10 camera sling bags is the Altura, which offers a solid and well-rounded bag for most of your camera-toting needs. The adjustable padded dividers make it fairly easy to properly store your camera and lenses. The upper additional storage pocket also offers more gear storage for a flash mount or otherwise. There is also a tripod holder on the exterior of the bag. The padded sling strap makes it very easy to swing the bag around to your front for quick access to your camera, and the side zipper makes that quick access even easier! We wish the bag included some weather protection, but overall, it’s an excellent piece of equipment that will comfortably and securely store all your camera gear for easy access during your adventures. When it comes to keeping all the camera gear you could possibly need and more close at hand for an urban excursion, look no further than the Slingshot 250. The primary camera compartment is located behind the back panel, making it easily accessible when you slide the pack to your front and helps protect against potential pickpockets while it’s on your back. You have a large front pocket with plenty of room for the other gear needed for a day out in the city, such as phone, headphones, rain jacket, and even a pocket for your tablet device. We love that this pack also comes with a built-in All Weather (AW) cover that you can quickly deploy when the weather takes a turn for the worse, protecting all your sensitive electronics from the elements. You’re also provided with two quick-release straps for easy tripod storage and deployment, making this camera sling bag an all in one package deal! Lowepro again makes our list with their Sling III design, and it is certainly a must-have for the light travelers out there. The Passport Sling III is smaller than the Slingshot, so it’s best suited for compact cameras with only one extra lens or flash attachment. The impact resistant organization area, however, certainly helps protect these devices through all the hustle and bustle of busy airports and traveling. What’s more, the camera gear organizer can easily be removed to make this an all-purpose utility bag for whatever your travel needs may be. 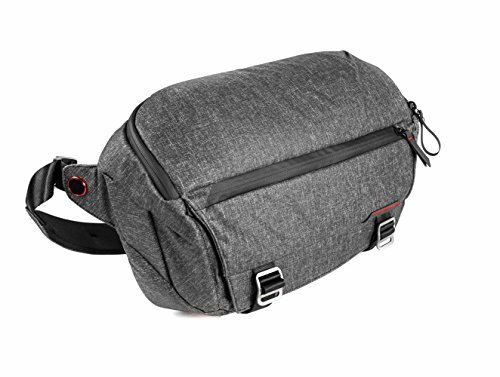 The entire bag area can additionally be increased by up to 30% through a quick unzipping action, making it the perfect adjustable camera sling bag to take on the road with you! 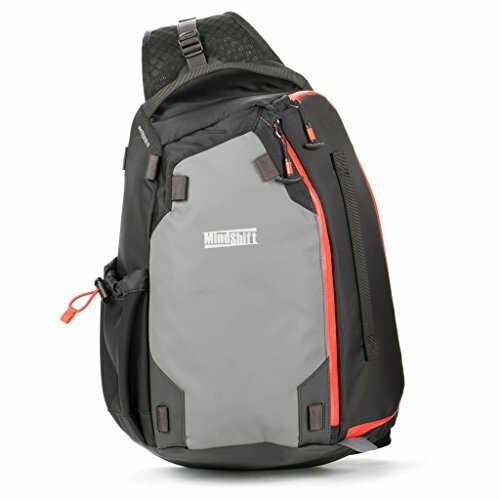 Mindshift offers an exceptionally comfortable and easy to use bag that makes whipping out your camera to catch that perfect shot a breeze. 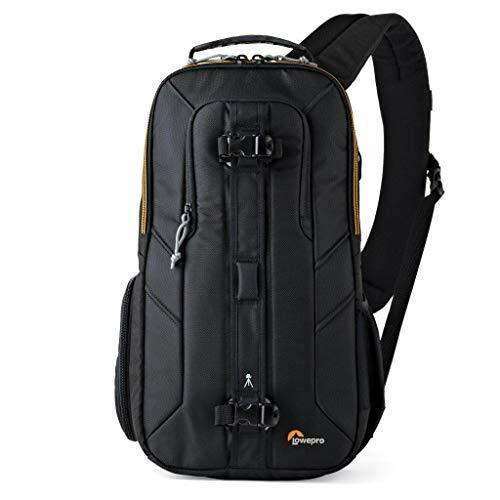 The padded shoulder strap is nice and wide to distribute pressure from the pack, which is in itself large enough to accommodate your camera, lenses, and many other pieces of gear to make you entirely self-sufficient. A dedicated tablet sleeve will protect your device from rubbing against other gear, while the pack itself is durable and weather resistant to help shield against any rain squalls that hit. To further protect against the elements, Mindshift has incorporated a weatherproof zipper to eliminate that pesky seepage issue that can potentially dampen your gear – and equally, dampen your fun! For those low clutter photographers out there with minimal gear, the simple 5L Everyday Sling by Peak Design may be all you need. The two customizable flex-fold dividers in the main compartment make it easy to keep your camera and lens right where you want them, and your tablet will stay nice and secure in the padded sleeve built solely for that purpose. 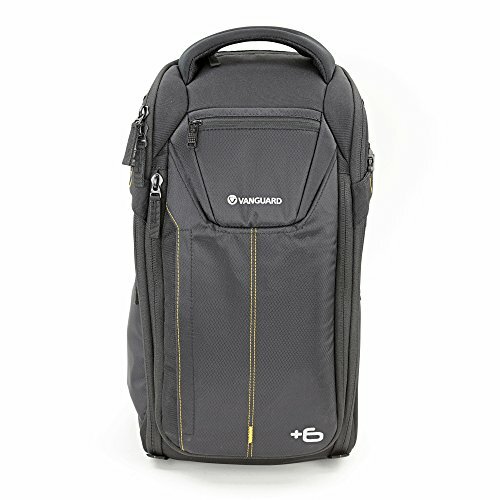 The bag also comes with its own 400D nylon protective shell to keep the rain out, and features a durable but stylish design that makes it an ideal and low-profile pack for any occasion! Just remember that the smaller size also means you’re sacrificing storage space for personal items as well. 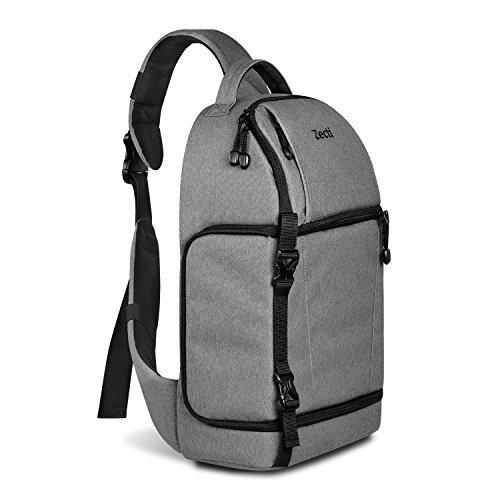 If you’re hoping to be able to take a few more items, check out Peak Design’s 10L version. 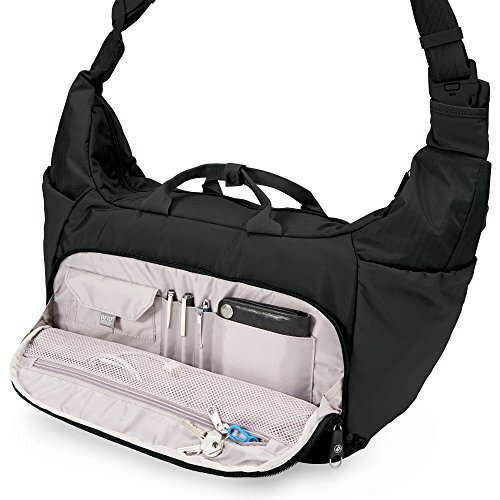 If your gear’s security is a higher priority for your travels, the CamSafe sling seems to be built just for you. The pack is absolutely loaded with useful security features to thwart everything from bag snatchers to high-tech skimmers, and provides ample storage with weather protection to boot! The bag material is lined with stainless steel wire to safeguard against bag slashing, so too is the strap itself to prevent any possible cut-and-run attempts. PacSafe also includes RFID blocking material in their design, which protects your credit cards and passport from any unwanted scanning. 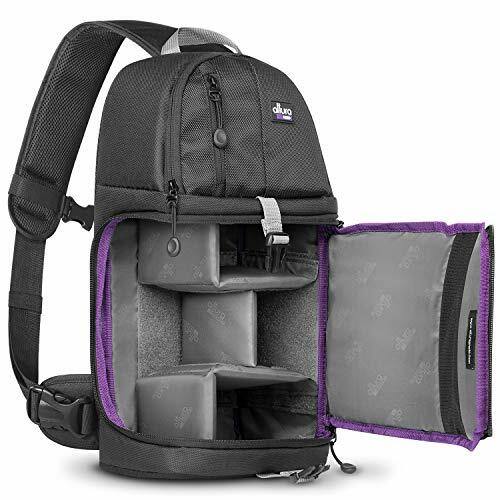 While the bag is on the smaller side, it comfortably stores most DSLR cameras plus an extra lens, but the camera organizer is easily removed to turn the pack into an easy and safe place for all your personal gear when the need arises. Our last few entries have been on the smaller side, perhaps fitting one additional lens or flash attachment. We, therefore, thought it time to tip the scales for a larger camera sling; the Zecti pack is the perfect fit for that goal. The main organizer compartment easily fits a DSLR camera, along with at least four additional lenses, and a smaller upper compartment is at your disposal for any personal gear or even another camera! The bag’s material is water resistant to handle those inconvenient sprinkles; you’ll also get a fully waterproof cover for when it really starts coming down. All this combined with breathable padding material, a durable construction, and anti-wear pads certainly make this one of our favorite camera sling bags on the market! 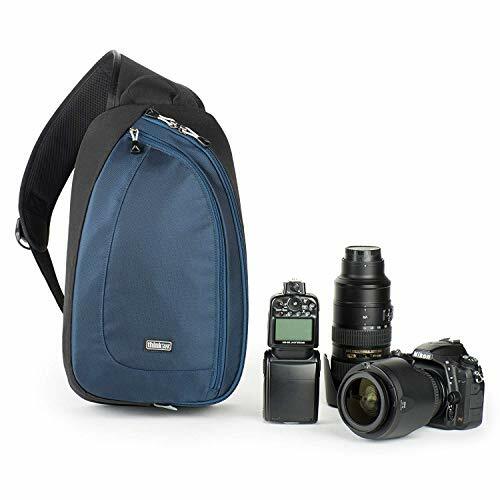 The largest sling bag of the Alta Rise series, the 43 offers incredible storage space for a professional sized DSLR camera, up to five lenses, plus a flash attachment, and then some! All this gear is easily organized in the brightly colored compartment, making finding the right gear at the right time a breeze, especially since you can swing the bag around to your front in a flash. This beast of a sling bag can be increased by an extra six centimeters with a simple unzipping action, providing you with even more space. The durable construction and included weather cover definitely makes this camera sling bag a force to be reckoned with, and can be the perfect fit for you photographers out there with a lot of gear. Think Tank gives our list a stylish and sleek sling bag that is dedicated to your camera and gear and therefore eliminates that bulk and extra space that accompanies larger bags. The main compartment easily has room for a standard DSLR Camera plus extra lenses, and a flash attachment to boot. You’ll also have a padded sleeve that can fit an 8″ tablet. Although there won’t be any room for significant personal gear, you’ll still have a small space for wallets and passports as you go about your photography adventure. As far as weather protection goes, you don’t get a waterproof cover, but the bag material is durable and water-repellent nylon that will certainly help keep the water off your gear! We’re ending our list with a bit of a twist, which is aimed squarely at the GoPro photo folks out there. If adventure is your life and GoPro captures your adventure, then you’ll need a reliable and durable place to keep your kit. 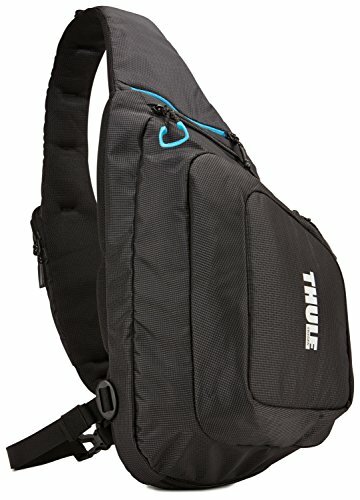 Thankfully for you, the well-known adventure gear manufacturer Thule has got you covered with their Legend Sling! The high-density foam interior is specially cut for the GoPro and can hold two such cameras, plus their battery packs, chargers, SD cards, and remote control to make sure you have everything you need to document an epic day. The bag itself is durable and lightweight nylon so as to not inhibit your adventure and withstand just about everything you throw at it! So, grab this bag and start taking your GoPro into the action with you! There you have it, folks. The top 10 camera sling bags along with the top priorities for picking out the perfect one for yourself and your gear. 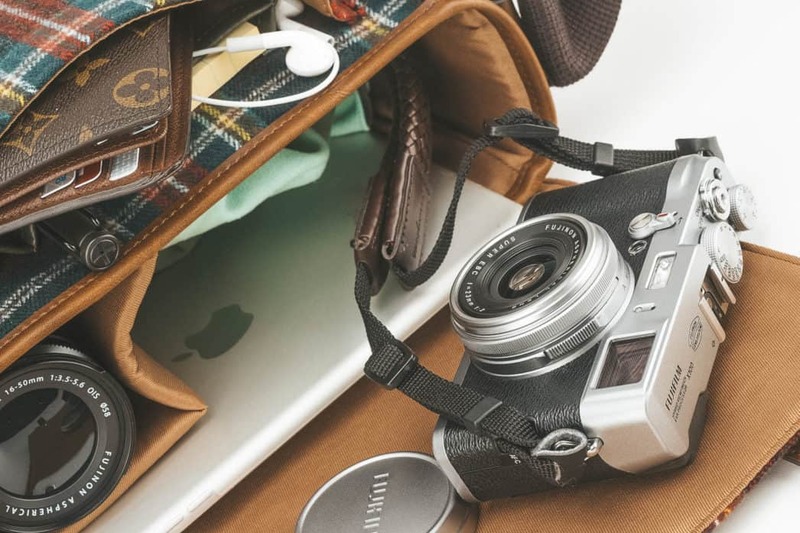 Trust us, your photography gear will give you a huge thank you for keeping everything organized with one of these specialty bags, and the hassle of whipping out your camera will be utterly decimated, so grab one and start snapping pictures!